For many startup cannabis growers, a grow tent offers an agile and economical way to get a crop under cultivation quickly and easily. 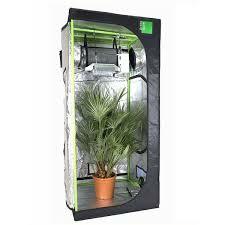 To make the most of a grow tent, though, it makes sense to adopt the latest technologies. In order to understand just how sensors and automation can leverage a grow tent’s inherent advantages, it is important to start with the basics. Let’s take a look at what a grow tent is and why you might want to use one. Then we can dig into the how and why of monitoring technologies and agro-management tools.